Telestream, a leading provider of digital media tools and workflow solutions, today announced that at on its IBC booth (7.C16), the company will showcase what it claims to be the world’s first fully-virtualized end-to-end adaptive bit rate (ABR) video monitoring & analytics solution. 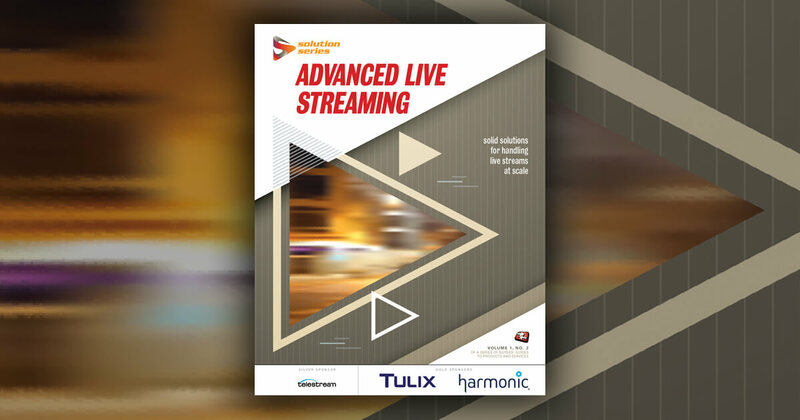 Leveraging the unique end-to-end integrated monitoring approach pioneered by Telestream’s iQ family of video quality assurance solutions, this approach ensures Quality of Experience (QoE) for subscribers and Quality of Service (QoS) for service providers. It spans the entire content production and distribution network, right up to a consumer’s living room or mobile device. Telestream iQ video monitoring and analytics solutions encompass data ingest to viewer data acquisition, including pre/post encoder, publishing and post origin/cache stages, through to third party analytics post end client integration. The system provides a single integrated graphical user interface for intuitive video service management and troubleshooting. Over the last 15 years, Telestream’s iQ business unit has established a global market leadership position, delivering innovative virtual monitoring solutions that provide compelling business value. Worldwide, the company has become the video quality assurance provider to most Tier 1 customers, involving the creation of a diversity of innovative solutions. Over this period, Telestream iQ solutions have helped leading providers ensure the highest video quality, reduced problem resolution time while creating an improved overall customer viewing experiences. This approach makes money for the users: reducing subscriber churn, increasing service deployment velocity and growing subscribers through higher quality services. At the same time, they save money, reducing service level agreement penalties and reducing non-compliance penalties. Over 15 years, Telestream IQ video monitoring and analytics has been proven to strengthen user brands; fixing issues before subscriber impact, adding video quality metrics to Customer Experience Management (CEM) and demonstrating competitive advantage with Video Quality Assurance (VQA).